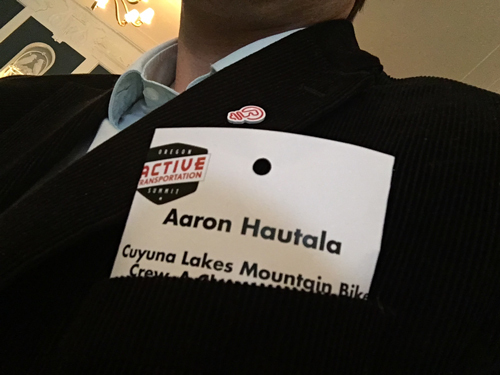 Aaron Hautala, owner/creative director at RedHouseMedia and president of the Cuyuna Lakes Mountain Bike Crew (Crew), recently spoke at the Oregon Bicycle Tourism Summit in Portland where he detailed Cuyuna’s story of transformation into a world-class mountain bike destination. “For me, Oregon was an inspiration for the vision of Cuyuna’s future, so it was very cool and humbling to be asked to present there,” Hautala said. 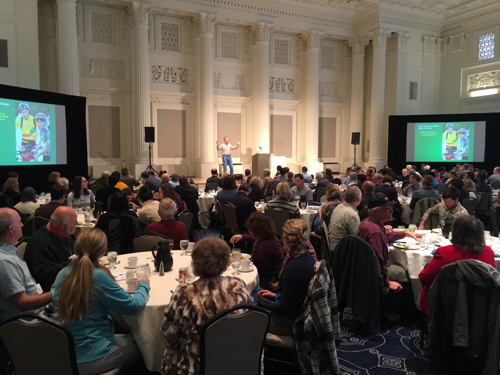 The Oregon Bicycle Tourism Summit was sponsored by Travel Oregon, the state’s tourism commission, with a goal of sharing recreation and tourism development opportunities, resources and strategies. Hautala discussed how Cuyuna’s purpose-built mountain bike trails have impacted the area’s tourism, creating an internationally recognized outdoor recreation destination that continues to expand. Similar to Minnesota, Oregon promotes bike-friendly cities, scenic rural routes and premier single-track mountain bike trails. “I hope our communities can continue to inspire and push each other to not accept what is status quo,” said Nastassia Pace, Travel Oregon’s Destination Development Specialist. Hautala also spoke about Cuyuna at the National Bicycle Tourism Conference in San Diego late last year. Since the Cuyuna Lakes Mountain Bike Trails opened in 2011, the Crew has actively partnered with PeopleForBikes, the International Mountain Bicycling Association, Explore Minnesota Tourism, Pedal Minnesota, the Minnesota Department of Natural Resources, and Crow Wing County to promote trail growth and cycling advocacy, both in Cuyuna and around the United States.